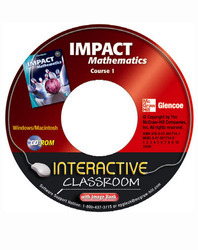 The Interactive Classroom CD-ROM includes editable PowerPoint presentations for every lesson. Built-in resources include additional examples, 5-minute check questions, and concepts in motion. This software is compatible with the TurningPoint classroom response systems.